In this week’s Your Parents Basement podcast, the gang tackles NBA Jam on the eve of the NBA finals! Like all good sports programmes, they use the game to predict the final of the series, and they also talk about their other favorite basketball-based video games, like Scottie Pippen’s Puzzle Challenge. To download this week’s show, click here! You can also subscribe to the show via iTunes, or manually use this link. If you like the show, be sure to give us some starrrrssss. You can also follow us on Twitter, or ‘like’ us on Facebook. A download of NBA Jam for iOS devices is free this week. This is the On Fire edition we mention at the end of the game discussion. It’s quite splendid on my PS3, although I’m not sure how well it translates to iOS. At one point, Huell mentions a ranking of the “best” NBA Jam teams by Deadspin. You can find that here. It is humorously presented with absolutely no summary information for the decisions. Mike Iuzzolino’s NBA career was so short that his Wikipedia entry has a mention to his appearance in NBA Jam. It’s an unplanned career highlight! 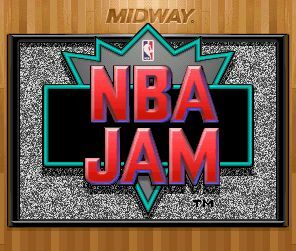 When NBA Jam was being remade for the Wii, ESPN.com ran a good interview with a producer from the game. He gets into how EA Sports procured the rights for making a new version of the game, which evolved from a prototype clone called Bounce. The Wikipedia entry on the series also has some information on the Midway and Acclaim split. Unfortunately, Scottie Pippen’s Puzzle Challenge and Space Jam Basketball do not exist (yet). However, Shaq Fu, Michael Jordan: Chaos In The Windy City, and Barkley Shut Up and Jam! do absolutely exist. They are varying degrees of “meh,” although Sir Charles’ game is actually kind of OK… it just features no other NBA players, so why would you ever want to play it instead of NBA Jam? And shockingly, Pippen DOES have his own video game: Slam City With Scottie Pippen on the Sega CD. It is not well-reviewed. Finally, a fun list from a blog: The 11 Current NBA Players Who Have Never Dunked.